The latest at Aardvark to climb Mt. Kilimanjaro is Francis. 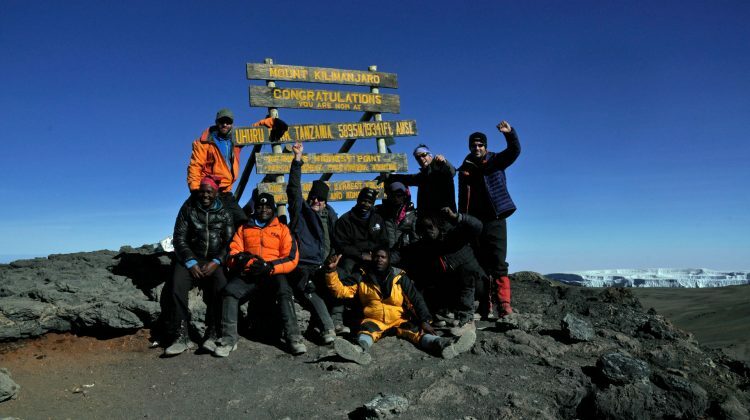 It is the second time he’s reached the summit of Africa’s highest mountain and this trip was a VIP 8 Day Lemosho route trek led by mountaineering experts Summits Africa. Some people undertake the climb to prove they could conquer Africa’s highest peak, some to cross another item off their bucket list, while others were climbing for a cause. We can offer the choice of joining a group of like-minded climbers or can arrange a private trip just for you. Pick your route. Not all routes and operators are created equal. Research the climb, the route and the season to find which works best for you. 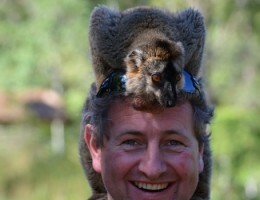 Read our page on Kilimanjaro climbs for further information. Francis opted for the leisurely and luxurious VIP 8 Day Lemosho route which eases you into altitude climbing gently with plenty of extra comfort on the trek. Take everything on the Aardvark Equipment List. Everything. Thankfully Summits Africa check your kit before you climb to make sure you have everything. Don’t be part of the crowd. On the morning of your summit bid, leave an hour or two after everyone else to get a bit more precious sleep and avoid too many hours hiking a crowded ascent in the dark before dawn. Watching the sun rise over Africa is great, but having the summit to yourself a couple of hours later is even better – and significantly warmer. 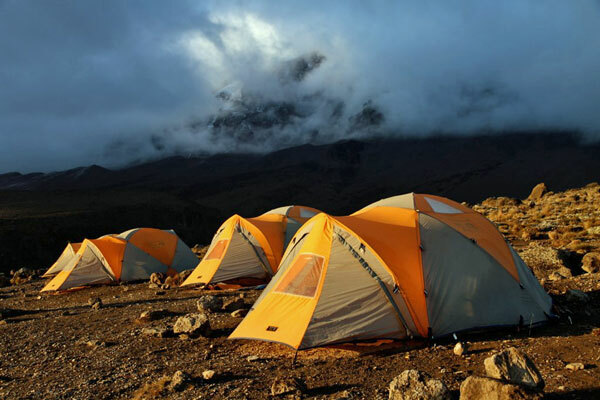 With Summits Africa you stay at a higher final camp, which allows you to leave later and shortens the final climb. Love your boots. There are lots of theories on training and nutrition, but the most important preparation is spending lots of time wearing the boots you plan to climb in. Respect your guide. Listen to his advice, do what he recommends and follow his lead. He knows the mountain better than you ever will. It’s not that daunting a climb, other than the two final days, which are pretty tough both physically and mentally, and it’s all about endurance rather than anything else. You get fitter and stronger as you ascend, and tackling the few steeper bits up to Barafu or Kosovo camps helps you with the final climb. Others at Aardvark Safaris who’ve made it to the summit are Alice, Lucinda, and Jo. At 5,895 metres or 19,325 feet, Kilimanjaro is an iconic and very beautiful mountain that dominates the landscape of Kenya and Tanzania for hundreds of square miles around it. It is massive, so big that it can be hard to give it a meaningful scale, and to ascend from the foot to the summit gives a climber the most incredible feeling of achievement. Clothed in dense forest on its lower slopes, where monkeys, buffalo, elephant and eland may perhaps be found, the gradual rise in altitude gives rise to some dramatic changes in habitats and a variety of bizarre but beautifully adapted plant and insect life, culminating in the bleak but spectacular alpine desert towards the summit. All Summits Africa Mount Kilimanjaro expeditions are planned to the last detail by mountaineering experts, who take into consideration every factor that contributes to a successful climb. Summits Africa has extremely experienced, attentive staff to ensure your climb meets our high standards of quality, from porter selection and welfare to client briefings and safety. Ongoing training programmes keep the team updated on the latest information. 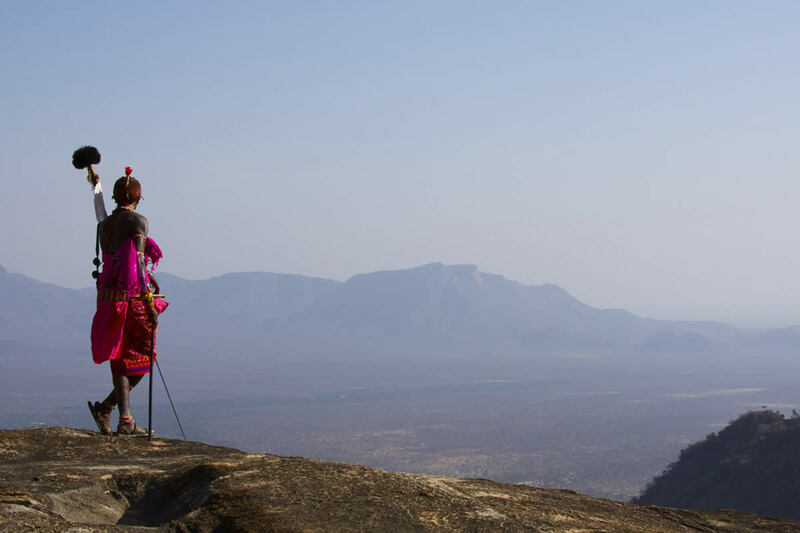 Summits Africa is a proud Partner for Responsible Travel with the International Mountain Explorers Connection (IMEC) and supports the Kilimanjaro Porters Association Project (KPAP). All altitude Summits Africa trips have: supplementary oxygen bottles, portable altitude chambers, pulse oximeters, comprehensive first aid kits and customised evacuation stretchers (designed to allow upright evacuation for pulmonary oedema cases as well as back boards for spinal support). Guides can assess climbers with twice-daily pulse oximetry to record heart rates and oxygen saturation, as well as monitoring all climbers with the internationally recognised acute mountain sickness monitoring scorecard as a supplementary assessment tool. Backup equipment on every single Mount Kilimanjaro climb include sat phones, telephones, radios, evacuation teams, 24 hour backup, and liaising with base team. All trips have one specific manager at base assigned to them for reliable communications channels and all teams check-in twice daily. All trips operated by Summits Africa require that our clients take out flying doctors or emergency evacuation cover. Almost all trips, by default, have this cover built into the cost for no nonsense evacuation support in remote zones. All of Summits Africa guides are trained in altitude first aid, mountain craft, natural history and ecological awareness. They are also trained extensively on monitoring systems and also management of AMS (acute mountain sickness), and more advanced forms of mountain sickness such as HAPE (High Altitude Pulmonary Oedema) and HACE (High Altitude Cerebral Oedema). Their dedicated team of porters also receive ongoing training and career assistance to help them progress into the field of mountain guiding. When climbing Kilimanjaro, you are equipped with the finest climbing and camping apparatus, safety equipment and GPS communications network. All our climbs are equipped with supplementary oxygen, pulse oximeters, and customised evacuation stretchers. Comfortable and private igloo-shaped tents allow our travellers to bypass the very rustic mountain huts where most trekkers spend their nights and eating meals. While most trekkers spend a total of five days on the mountain, we encourage our clients to trek for seven days (six nights) Machame Route or eight days (seven nights) Lemosho Route to allow more time for premium altitude acclimatisation, giving Aardvark Safaris a successful summit rate of 98 percent. 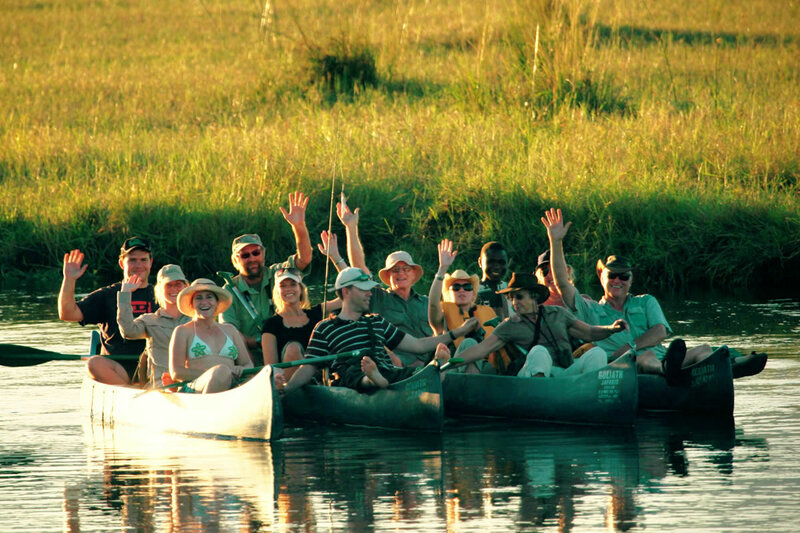 Our trips are all ‘non-participatory camping’, which means a full camp team and crew is provided. 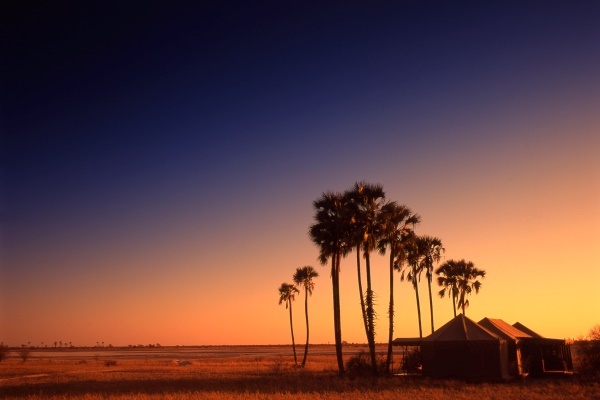 Summits Africa employs one crew member as a runner, whose sole job on a climb is to run to the next camp site to claim the best camp area for the group (i.e. not on a slope or on rocky ground). We offer two different climb styles, luxury and VIP which means we can ensure you are matched with the right level of equipment to suit you. A VIP climb offers a proper bed with 3 inch thick mattresses, sleeping bags, thermal liners and pillows, walk-in tents, a wash tent, and a loo tent. The luxury climb is the most popular specification we sell and offers 3m x 3m dome tents, thick mattresses and sleeping bags, and a loo tent. It is a great compromise between cost and comfort. Both treks include fresh fruit, three high calorie hot cooked meals daily. Meals are served in a designated dining tent with proper chairs. Pizza, Kilimanjaro Fried Chicken and chips, curry, spaghetti Bolognese, fresh fish, salads, rich stews, and bacon and eggs for breakfast were among the treats we had to sustain us during the climb. During the day, guides hand out snickers and trail mix, to keep spirits and energy levels up – you’ll be astonished how much energy your body uses at such altitudes. We are in this together – throughout the trip there was a tremendous team spirit. The porters would sing us in to camp each day which was wonderfully motivating after each day’s trek. A guide will be assigned to you each day allowing you to climb at your own pace and give you guiding and encouragement during your climb if you need to go slower. 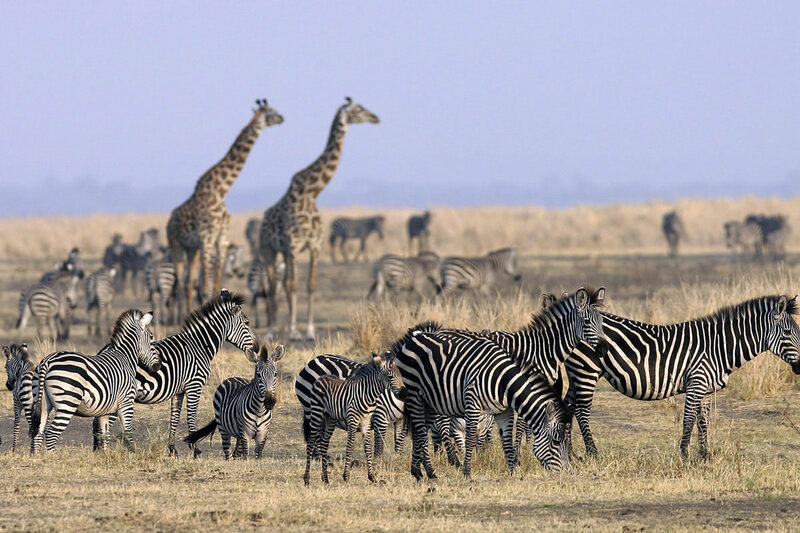 Experienced mountain guides, camp staff, provisions, safety equipment and park entry fees, airport transfers and accommodation in Arusha before and after your climb are all included. Porters transport your luggage and equipment; you carry only a day pack with water and snacks you need between rest stops. The VIP option also includes tipping for the guide and porters within the price thus making it a good option for relaxation and peace of mind.